Mr. PAUL. Mr. Speaker, I rise to introduce the Education Improvement Tax Cut Act of 1999. This act, a companion to my Family Education Freedom Act, takes a further step toward returning control over education resources to private citizens by providing a $3,000 tax credit for donations to scholarship funds to enable low-income children to attend private schools. It also encourages private citizens to devote more of their resources to helping public schools, by providing a $3,000 tax credit for cash or in-kind donations to public schools to support academic or extra curricular programs. I need not remind my colleagues that education is one of, if not the top priority of the American people. After all, many members of Congress have proposed education reforms and a great deal of their time is spent debating these proposals. However, most of these proposals either expand federal control over education or engage in the pseudo-federalism of block grants. I propose we go in a different direction by embracing true federalism by returning control over the education dollar to the American people. Returning control over the education dollar for tax credits for parents and for other concerned citizens returns control over the ends of education policy to local communities. People in one community may use this credit to purchase computers, while children in another community may, at last, have access to a quality music program because of community leaders who took advantage of the tax credit contained in this bill. There is no doubt that Americans will always spend generously on education, the question is, who should control the education dollar—politicians and bureaucrats or the American people? Mr. Speaker, I urge my colleagues to join me in placing control of education back in the hands of citizens and local communities by sponsoring the Education Improvement Tax Cut Act of 1999. 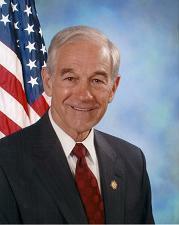 1999 Ron Paul 10:3 federally-determined probably should not be hyphenated: federally determined. 1999 Ron Paul 10:5 publicly-funded probably should not be hyphenated: publicly funded.